It was another exciting Saturday for the 60 Achievers who visited the Kakum National Park in Ghana’s Central Region last weekend. Since inception of Achievers Ghana, excursions have been a core activity aimed at expanding the horizon of girls and awareness of life outside the community. This was our second trip to the National park and we are extremely grateful to RisingSun Montessori for donating their buses to make this possible. 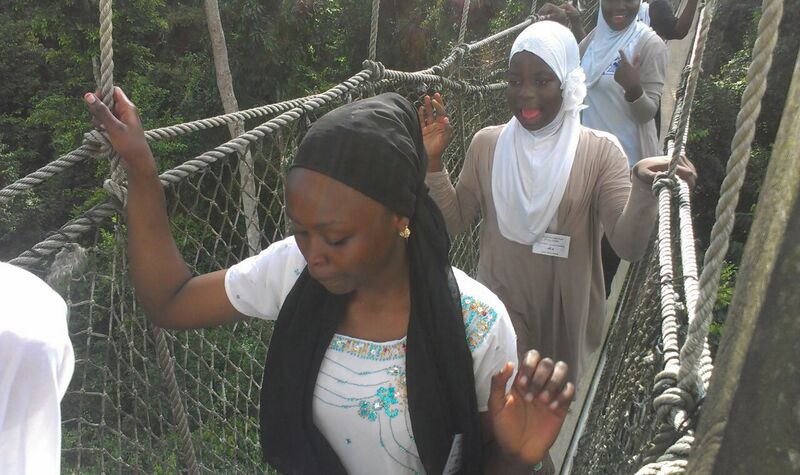 As girls made it up all 7 levels of the rather intimidating Kakum canopy walk, it was a mixture of excitement and nervousness. But they made it! This entry was posted in Uncategorized and tagged excursion, Kakum National park, rising sun montessori. Bookmark the permalink.